Metered parking is available in Station Parade between 9am and 5pm, Monday to Saturday (maximum stay 2 hours). It is free to park after 10am on Kew Road (A307). Please note restrictions apply on many of the residential streets around Kew between 10am-12pm. 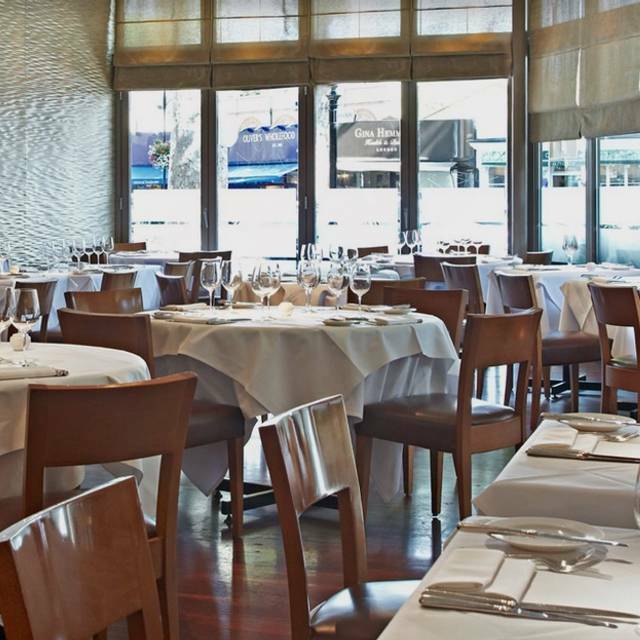 The restaurant is just a few yards from both Kew Gardens tube and main line railway stations. By train, Waterloo is approximately 30 minutes away (change at Richmond). The nearest Bridge across the Thames is Kew Bridge and we are a 30 minute cab ride from Central London. 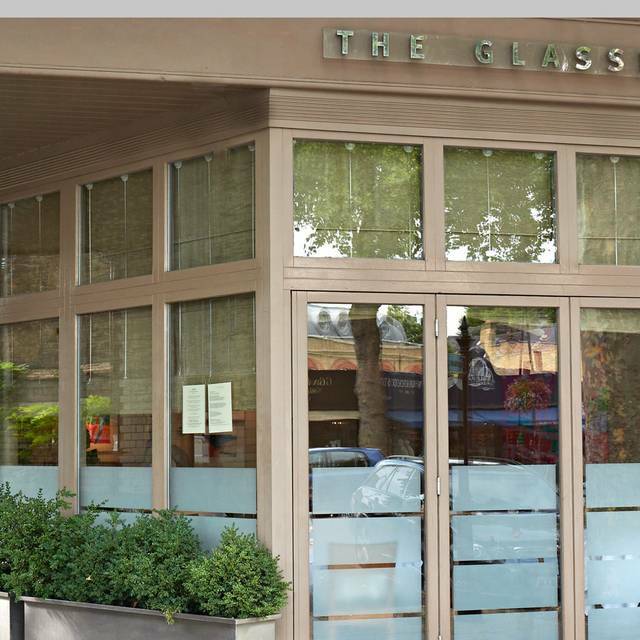 The Glasshouse is owned by Nigel Platts-Martin and Bruce Poole, the partnership behind Chez Bruce in Wandsworth and La Trompette in Chiswick. Since it opened in 1999, The Glasshouse has delivered a dining experience of the highest quality in comfortable and relaxed surroundings. 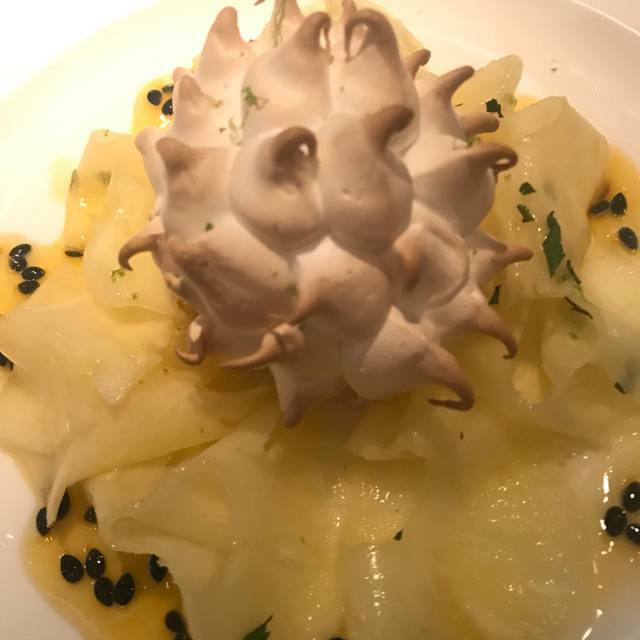 By paying close attention to details, the restaurant continually strives to provide food, wine and service that exceed expectations and represent excellent value for money. 25% off total food bill from 3 course set menu. We came here around 9 months ago for the first time when my wife was almost 9 months pregnant - this time we came back with our 8 1/2 month old daughter and my parents, and it was every bit as outstanding as before. 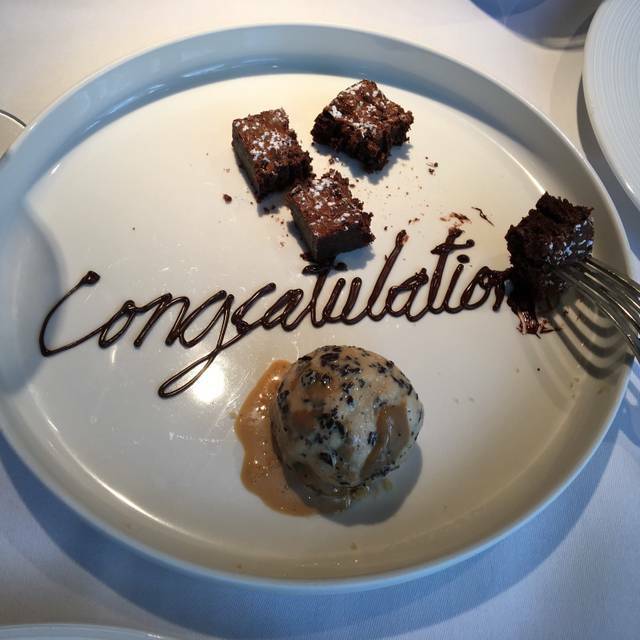 The service is absolutely top class - I'd mentioned that one of the diners was dairy intolerant before arriving, and as we were seated they were handed and marked up menu showing everything that was available to them (done by hand), plus given advice on substitutions or replacements that could be made. The atmosphere is lovely - they clearly get a lot of repeat customers, and so often you'll see diners chatting to each other or to staff; it has a very welcoming and friendly feel. The food is exceptional. Innovative (the thai style fish was outstanding, as was the monkfish ceviche starter), high quality and delicious. 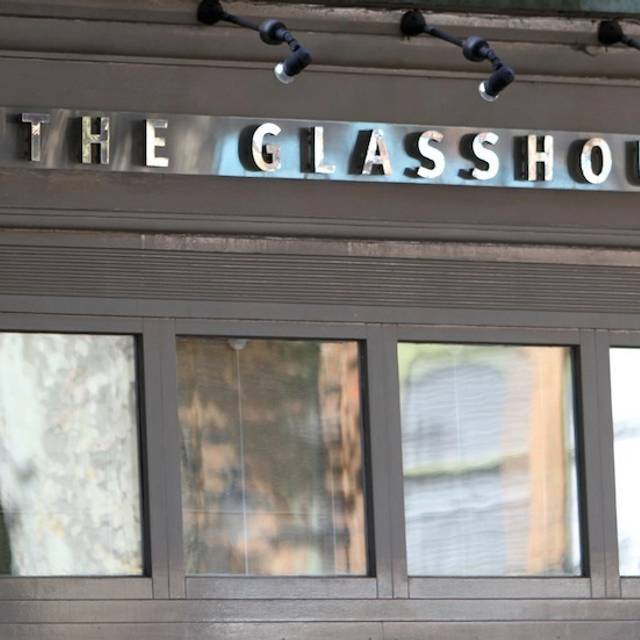 Thank you to all the staff at The Glasshouse - you're doing an exceptional job. Nice ambience and pleasant staff. Two of us eating. Salmon sashimi starter was outstanding, but the wild garlic velouté was bland. The waitress asked how we’d enjoyed the starters and we replied honestly. She was surprised by the feedback about the velouté and said she’d follow up with the manager, but nothing came of this. Mains were decent - duck confit and vegetable empanadas - but not remarkable. We had the cheese course after which was excellent. However rated the food overall based on the dishes actually prepared by the kitchen. The wines recommended by the sommelier were also excellent: a rich Pinot Gris and a light elegant Italian Pinot Noir. We may try here again to see if the somewhat uninspiring food (with exception of the salmon starter) was an exception, but not rushing back. We hadn’t been back to The Glass House in many years due to poor acoustics. Since then many changes have been made to soften the noise level. How delighted we were to feast on a fabulous meal and enjoy conversation. The attention to detail and presentation were superb. Only slightly let down by junior service staff reaching across us to clear plates away. Otherwise a fabulous evening. We will return. 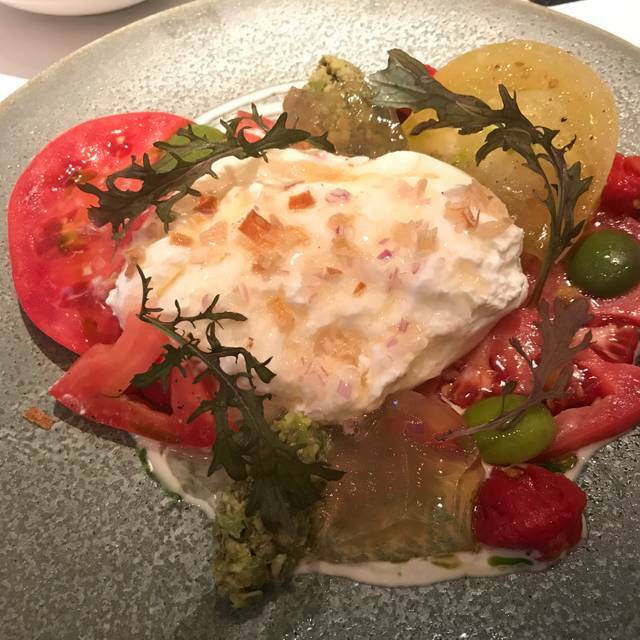 Everything about the experience was top notch from the feeling of being made welcome by a happy crew at The Glasshouse to the service and outstanding food. We went to celebrate a special evening and our choice of this place to do so was proven to be a good one. The Glasshouse has a lovely atmosphere. It was my second visit and the food does not disappoint. The salmon sashimi appetizer was light and airy. The monkfish in a lemongrass bisque was exquisite, delicate flavors and textures. The warm chocolate pudding in a crisp filo pastry melted in your mouth. Our friends enjoyed their meals equally. Highly recommend. Hats off to the chef. The food is delicious and staff are all very accommodating and friendly. Would definitely return. This was our first visit to The Glasshouse and it will not be our last. It is a lovely restaurant, great ambience, wonderful staff and outstanding food. Everything we had was perfectly cooked and beautifully presented. The restaurant was busy but managed not to be noisy nor did it feel cramped. We weren't rushed at any time and so could relax and drink in the experience. We thoroughly enjoyed it and recommend it wholeheartedly. We dined at the Glass House on the 16th March. The reception staff were very friendly and welcoming and all waiters very well trained and efficient. Pleasant ambience where food is the main event and deserves to be. All our choices were beautifully presented and tasted delicious , the cheese board was superb and wine list extensive. An excellent dining experience and for a group from Yorkshire also very good value for money! This is a beautiful restaurant serving beautiful food with an interesting and comprehensive wine list. Service is excellent and the ambience is elegant but somehow cosy and comfortable at the same time. We have been here many times and are never disappointed. Nice setting. Quiet ambience. Food is not as exciting or refined as one would hope for the price. Service is fair, no smiles, no real attention. Was expecting a great experience, had an ok one. Excellent meal with good range of options for the lunch menu. Absolutely perfect! Delicious food, excellent service, perfect ambience. Price is reasonable for a Michelin star restaurant and given how yummy the food is. 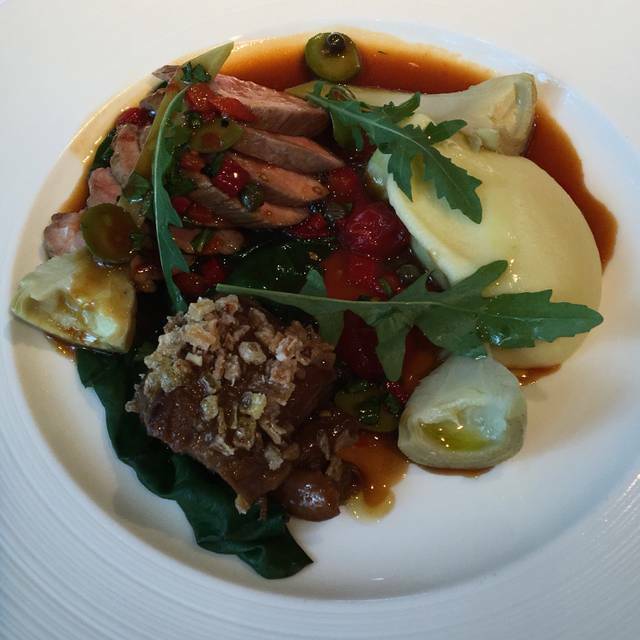 Another fantastic meal had at the glasshouse. Have marked the service and overall down one this time as didn’t feel it was as exceptional as usual. We had to wait a fair while to order wine and didn’t feel the sommelier was as helpful as last time, however the wine we had was amazing in the end. Excellent food, outstanding service. The only slight negative was down to the braying group near our table but that is not the restaurant’s fault. Maybe we likes a little more the "la trompet" in Chiswick but overall amazing restaurant. We will go again to this or any one of the group. Truelly great experience! 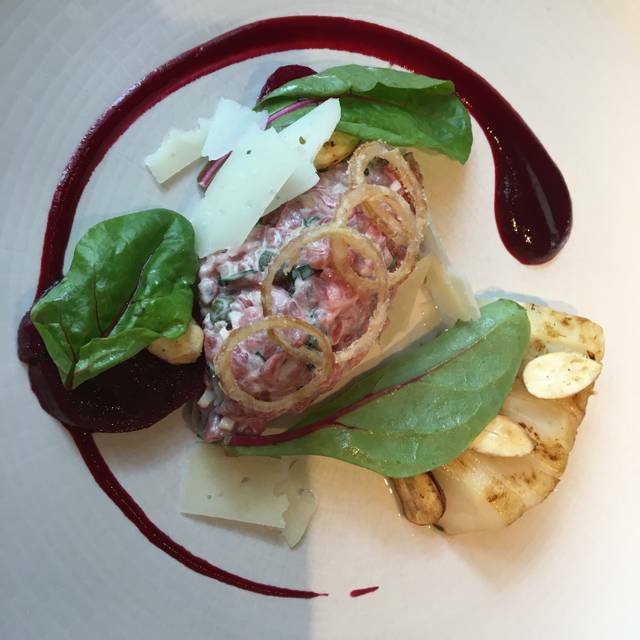 Overall really enjoyed The Glasshouse with its excellent food, cosy ambience and attentive staff. The only reason I didn’t give this 5 star was because our table wasn’t ready when we arrived however the staff were very apologetic and offered us some bubbly while we waited which definitely helped the slight annoyance. I would still recommend The Glasshouse though! Very popular and for good reason. Food is interesting and bursting with flavour. We felt well looked after, and would definitely revisit. Food was excellent. Flavours were perfect and dishes were very attractive as well as extremely well thought out. Every mouthful was a delight. The rice pudding was the best dessert I've had in a long time. The service however let the kitchen down. I was passed my dessert plate over the top of the cheese table as my partner was choosing his cheese selection as if I was in the local cafe. Very disappointing and a complete mismatch to the standards expected by chef in the kitchen. Lovely food. Iberico pork was delectable! Always excellent food (although slivers of cheese with a supplement payable, were so small they were almost transparent). Service is usually very good but one of the male servers on this occasion kept just leaning across rather than walking around which is annoying. Will definitely be back again tho. Fantastic food....good wine....lovely atmosphere as expected. Reliable constant level of excellence. Love this place. Its being going for a long time and they haven't dropped their game. Wonderful staff and very relaxing place to eat the fabulous food. Delicious food in a relaxed atmosphere. Every time I've been here I come away feeling happy. Really lovely service. Excellent all round! Have been meaning to come here for ages as we live locally, so delighted we made it in the end! Friendly, unimposing and impeccable service with delicious food. We both ordered a range of dishes and ingredients were seasonal, beautifully cooked and presented. A lovely atmosphere, we will definitely be coming back. 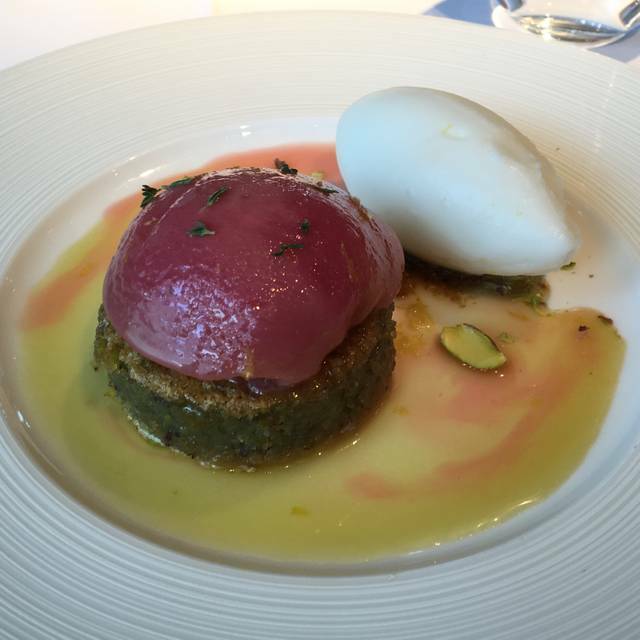 We had a delicious lunch at The Glasshouse The food was excellent and the service attentive and good. It is a set menu so if you don’t want three courses it can be expensive. We had three and although the food was more than ample, didn’t feel over full at the end, which is good. This restaurant ticks all of the boxes. Have dined here now several times and can say it is one of my favourite places in the UK for outstanding food. It was a most delightful lunch. The food was absolutely exquisite, just fabulous. The service was lovely, staff attentive without being intrusive. Top class, as expected. I had high expectations which unfortunately were not met. There are too many tables in the restaurant, which means you are seated very close to neighbouring tables. The bottle of white wine we ordered (from a ridiculously long wine list) wasn’t chilled; so we had to wait while they stuck it in ice to reach satisfactory temperature. My husband requested his venison to be cooked medium to well, and it arrived rare. The food is outstanding, but it lacked atmosphere. A great place if you want to hear other peoples’ conversations. Had lunches at the Glasshouse a few times now. The food is really good (hence the Michelin star!) classic win a twist. Quality & fresh ingredients perfectly cooked. The service is professionnel and friendly with a very knowledgable sommelier. The actual restaurant is nice fresh & airy in a lovely location. I would come back again & again. Highly recommend it. But be aware it’s a little pricey. But worth every penny. It’s a very special place & you get what you pay for. Thumps up. Quiet on a Thursday night, but didn’t take away from overall experience - lovely food, great wine & outstanding service.